Over the years, I have counselled thousands of infertile couples. There have been many hits - and a few misses too. Not every IVF cycle has a successful outcome and it’s not always possible for every infertile couple to walk out with a smile on their face. Though IVF technology and other infertility treatments have advanced in a significant manner, nature tends to throw curve balls at us every once in a while , and we are unable to do much about it. When this happens and patients go through a number of failed IVF cycles, and are told that if they want to have children, they will have to consider alternative options such as adoption, it leaves them shattered. I have spoken and consulted umpteen patients who are inconsolable when they are told that they will not be able to have a child via IVF. They delude themselves into believing that once they have a baby, all their problems will be solved; and they start feeling that a life without children will be empty and meaningless. When I talk to these patients , I empathize with them, and offer them additional options. 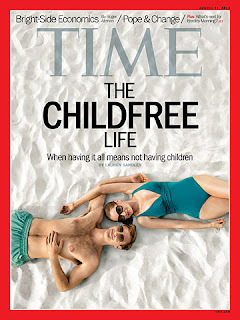 Fact- Many people who choose to live childfree live a life is just as fulfilling, happy ( as well as problem-ridden ) as the life people with children do. The important thing is to recognize the advantages that this particular path presents , and live life to its fullest. Childfree is not better or worse - it;s just different, and you need to have the courage of your convictions to pursue the untrodden and unconventional path. I always tell patients who eventually take the decision to be childfree, that it’s important for them to do the things they feel are right and which work for them. They need to decide what works for them. It’s very easy for people around and society at large, to be judgmental of people who live lives that are different from theirs. But I also know for a fact, that though not everyone will admit it, many people will also secretly envy your decision and your independent lifestyle. Remember that childless does not that your life will be any less meaningful than someone else's !